Newly renovated beautiful large 3 1/2 Brm Villa. Great for family holiday, a group trip or even a conference. Enjoy a spacious lounge, modern, fully equipped kitchen-diner, 3 Large rooms and 1 small room plus a single facility off the main bedroom. A cosy sunny deck with outdoor furniture invites you to relax in the sun. This house offers a ramp for wheelchair access to the front door. 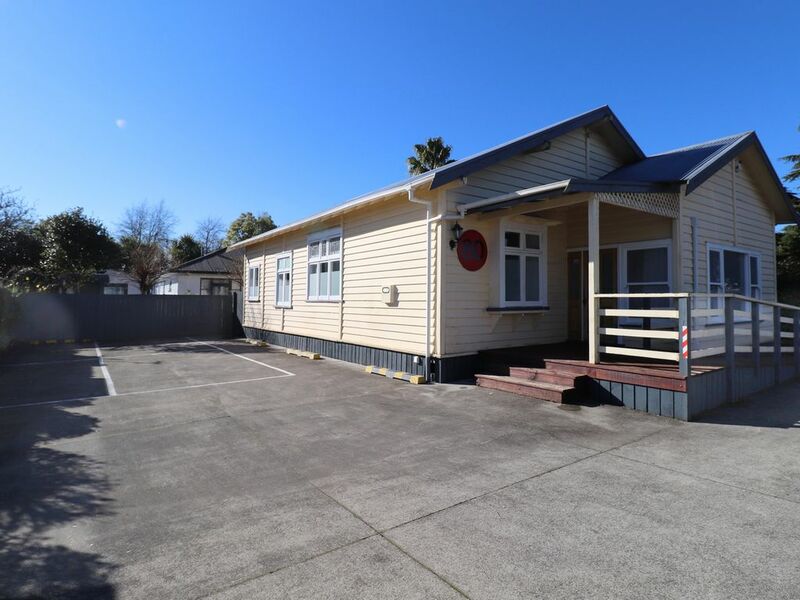 Walking distance from central Hamilton, Waikato University, Hamilton Gardens, Waikato River and on main Bus Routes. 15 min drive from Cambridge, 45 min to Raglan Beach, 2 h from Auckland, 1 h to Tauranga, 1.5 h to Rotorua and 2 h to Taupo. How does a booking error occur? First we ended up in the home behind this one, due to some issue. We booked a specific property due to the nature of our family, but somehow a booking error was made and we ended up with one sleeping on the couch in a different home to what we had booked, not what we wanted. The property manager contacted us which was great and gave us a selection but in hind site I might have been better going back to the main site and changing my booking. but this may have incurred a conciliation fee. So in effect an inappropriate situation was forced upon my family. The home (the back house) was average in nature, sticky wood floors may have been due to the cleaning fluid. There was already a comment in the guest book about cockroaches and we had similar experiences. Internet was great for my teens. In all not a favorable experience. The original house you booked had only 3.5 bedrooms (the .5 is a bedroom off another). The one you were moved to was a 5 Brm (including the sleepout) So I am confused why you felt it was a worse situation for the bedding configuration. You are correct on the floors being the cleaning solution this is a training issue and we are currently resolving this. With reference to the cockroaches they are of the garden breed which pose no danger to the guests. This variety is an issue in Hamilton East. We fumigate the houses every 3 months to reduce their presence. Unfortunately this is all we can do as you would need to do the entire Hamilton area to try to get rid of them however this is not possible. We do explain this in the material we provide guests. Please note as the error was ours we would have given you a refund if requested. Thanks again for your comments we do take them seriously to try and improve our services. Really convenient and easy to arrange. Really convenient and easy to arrange. Clear simple instructions on how to get in. House had everything we needed and plenty of space. All beds were comfortable though two beds were very creaky. Would stay here again! Fantastic location, close to the gardens which are spectacular. Fantastic location, close to the gardens which are spectacular. Close to shops great little corner shop across the road. The property was clean and tidy well equiped. Most of the beds were comfy I required more padding on the bed I slept on but that was easily rectified. Large lounge room for entertaining.